Agnosia Is A Disorder That Affects Your Ability To Process? 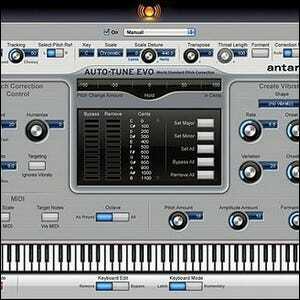 Auto-Tune is a popular music processor that is commonly used to alter the pitch in vocal and instrumental performances in order to disguise key-errors—if the singer or an instrument is off-key, Auto-Tune smooths over the variations in pitch. Although widely used (and, some would argue, abused) in the music industry, Auto-Tune wasn’t originally intended for use in recording studios. The original application was designed by Andy Hildebrand, while employed by Exxon, in order to interpret seismic data to find underground oil deposits. In the course of his research, he realized that the technology he’d created could also be used to detect, analyze, and modify the pitch in audio files. While minor applications of Auto-Tune’s smoothing algorithms are virtually undetectable, the program has been used to create more dynamic effects. Cher’s 1998 hit “Believe” was the first commercial recording to use the power of Auto-Tune to create the effect of the vocalist having a synthesizer-like voice. Later artists like rapper T-Pain made such vocals their trademark. One of the more entertaining uses of Auto-Tune are the efforts of the group The Gregory Brothers, well known for their “Auto-Tune the News” series of videos (rebranded in 2011 as “Songify the News”). The group takes segments from news programs and other non-musical video sources and uses Auto-Tune to create musical arrangements. The group is responsible for the most popular YouTube video of 2010 (excluding major label music videos), “Bed Intruder Song“. Image courtesy of Antares Audio Technologies.